Transparent watercolor by Irena Roman. Winter 2013/2014 on the South Shore of Massachusetts has been extra snowy and brutally cold with strong winds that never seem to die down. The colors of the landscapes are paired down to a monochromatic palette of browns, grays, whites and moody blues. It gives a totally different perspective on the environment in comparison with the overabundance of color in the warmer months. Being a New Englander, I’ve learned to value the stark and cold scenery that gives way to the subtleties of beauty. As an appreciator of all things local, I recently visited the Art Complex Museum in Duxbury, MA, to see the Duxbury Art Association Annual Winter Juried Show and a painting exhibit by artist Robert Neuman. Both of the exhibits were inspirational and worth the trip to this small, coastal South Shore town in the frigid weather. The First Place Winner for Watercolors in the Juried Show is the above painting entitled Shadow by Scituate artist Irena Roman. It was a standout piece with its hyper realism of lemons on glass that showcase a phenomenal skill in the use of watercolors as a medium. 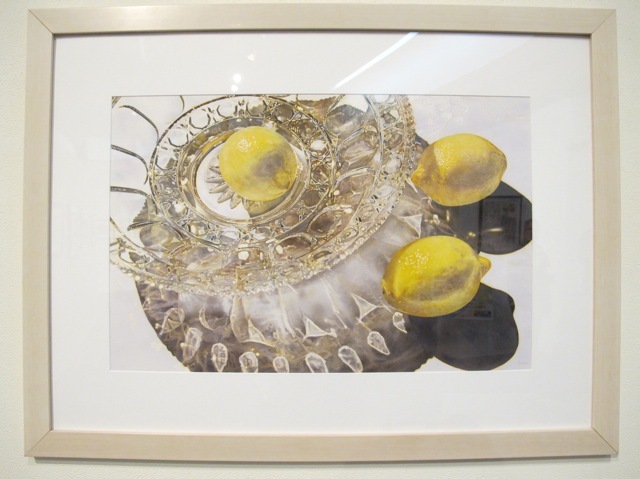 The painting is an intricate depiction of light reflecting on the subjects of glass and lemons that evokes a clean and crisp feeling along with a unique composition that is striking. Duxbury Art Association Annual Winter Juried Show. 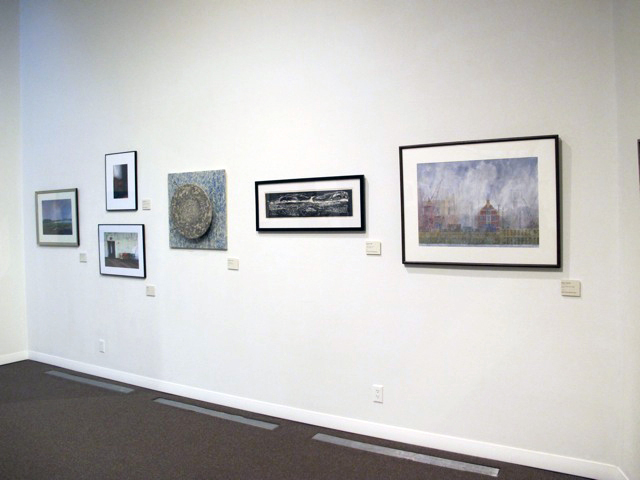 The Annual Juried Winter Show has a good balance of a variety of mediums with a visual cohesiveness. The exhibit features 70+ works of art that were culled from over 500 submissions. This exhibit runs thru April 27th, 2014. 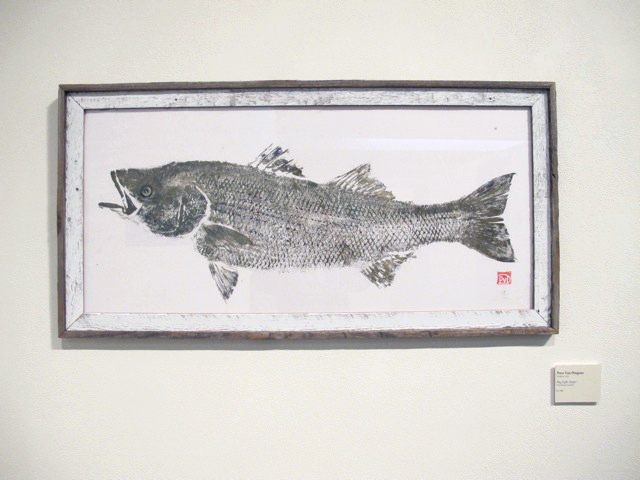 This fish print entitled Bug Light Striper by Peter VanDingstee was beautifully executed and had a freshness to it and had me wondering about the process. The print is large and detailed down to the minutest scale. Calling all anglers-you’ll love this one! Trish Berube with Mixed Media piece. 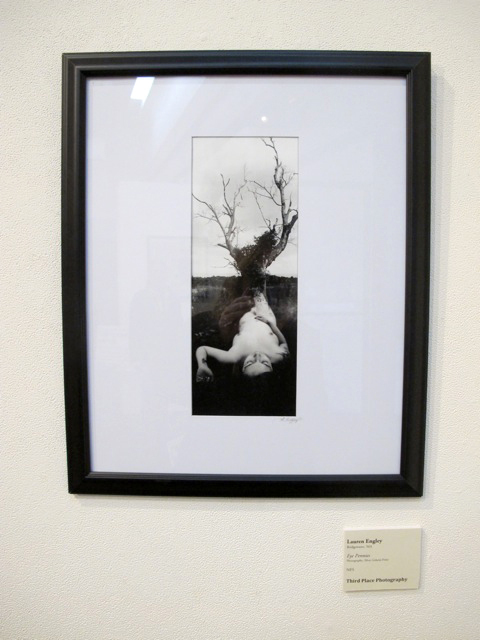 This thought provoking piece by Patricia Berube was awarded Second Place in the Mixed Media category. It has a combination of drawing and photo transfer techniques that lead the viewer to a story about the passage of childhood. 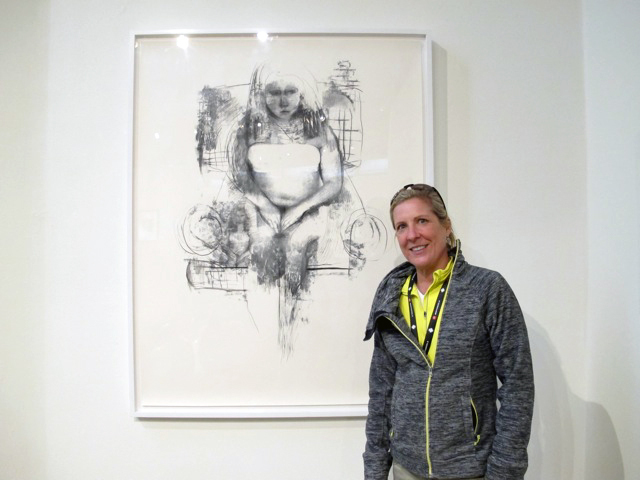 Trish has won Best of Show in the 2013 and 2012 Duxbury Art Association Winter Juried Exhibits. ‘Destruction of Affections’ by Lisa Flynn. 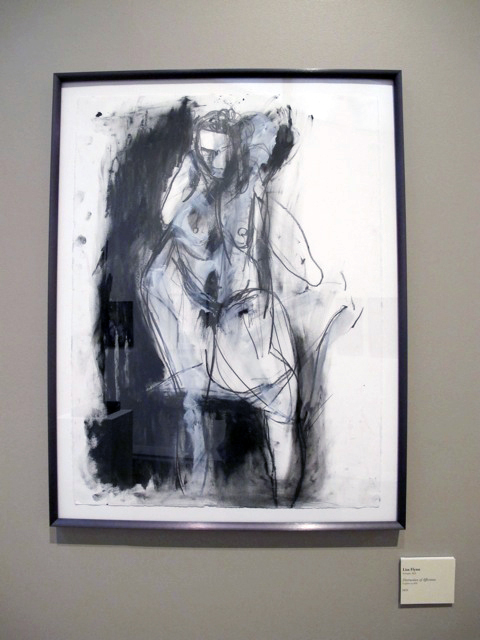 This figurative piece by Lisa Flynn reminds me of the distorted compositions of Francis Bacon. It’s a standout drawing that caught my eye every time I walked by with its complexity and simplicity all in one. Lisa is the Art Gallery Coordinator at the James Library & Center for the Arts in Norwell, MA. ‘Eye Pennies’ photograph by Lauren Engley. This beautiful photograph by Lauren Engley drew me in with its softness and textures. It is reminiscent of the well-known photographer, Jerry Uelsmann, who manipulates black & white photographs with multiple imagery. Although the Duxbury Annual Winter Juried Show has artwork with a vast range of colors, in the end, I realized that I was drawn to the more wintry, simplistic palettes that somehow resonated and evoked the starkness of the season. Winter is a time to be introspective and thoughtful. Enjoy the season. You are currently reading Art in the Coldest Season at donna ingemanson studio.